Our range of products include retail system software, retail software and retail software service. 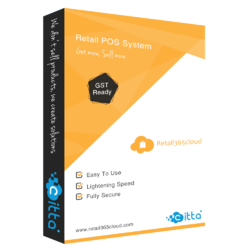 In the Retail system a retailer can generate reports as per his need; even they can generate a report which contains the complete details of the business within a single report. There is a provision in Retail System that it will show an alert when items are out of stock or show the stock of items which you are not selling. In Retail System, No need for feeding manual purchase bill, even user can handle multiple customers on a single computer. The incomparable After Sales Service and Training Support is the key to its success. In retail software a retailer can generate reports as per his need; even they can generate a report which contains the complete details of the business within a single report. There is a provision in Retail Software that it will show an alert when items are out of stock or show the stock of items which you are not selling. In Retail Software, No need for feeding manual purchase bill, even user can handle multiple customers on a single computer. The incomparable After Sales Service and Training Support is the key to its success.